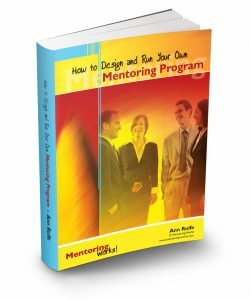 This is part 4 of a four-part series to help you design a successful mentoring program. Our “4P” model of mentoring strategy (below) has been used for award-winning mentoring programs with Family and Community Services and Juvenile Justice in NSW as well as many others. Discussions with senior decision-makers for strategic direction. Read more. Needs analysis and consultation with potential mentors, mentees and managers for their input. Read more. Evidence-based design, informed by the strategic direction and consultation. Read more. It is vital that every mentoring program has a well thought out communication plan because people can’t support what they don’t know about, and in organisations I‘ve seen some groups actively resist or undermine mentoring efforts because they didn’t see their value. Others not directly involved in your program. Decision makers within your organisation can make or break a mentoring program. They have many priorities, often conflicting ones, so your communication to them really needs to hit the mark. You need them to support your program, financially and operationally. Of course you can’t have mentoring without willing participants, mentors and mentees. You need to attract and recruit the right people and keep them engaged throughout the program. The third group is often forgotten. Middle managers and supervisors, who are not on-board with why mentoring is important, can derail your program. So you need to convince them of the value of mentoring and keep them in the loop. Non-participants who are disgruntled can be a problem too. Spread your message to non-participants, maybe provide them with resources for informal mentoring so they don’t feel left out. You want to get your message to each of these groups because you want their buy-in. You want each of these groups to support mentoring in different ways. 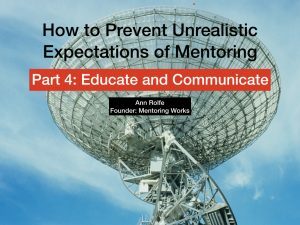 To prevent unrealistic expectations of mentoring, educating people is part of your communication plan. Decision-makers need to understand what mentoring can and can’t do, what’s involved in an effective mentoring program and the lead-time and resources required. you’ll also need to keep them apprised of results and return on investement. 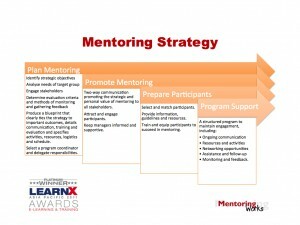 Potential mentors and mentees need to know the program objectives, what is expected of them and how to get involved. Managers should be helped to understand the strategic advantages of the the mentoring program and the likely on-the-job benefits. People not able to join in the mentoring program need to know why a particular group has been singled out for the opportunity and what they can do to get mentoring for themselves. Your communication begins before the mentoring program to promote the reasons mentoring is needed and the benefits. It continues during the program to support progress and maintain participant engagement. After the program ends you want to share the results. Some ways you can communicate these messages are listed below. Each of the topics discussed in this series of articles has been addressed in depth in webinars I’ve run over the last few years. 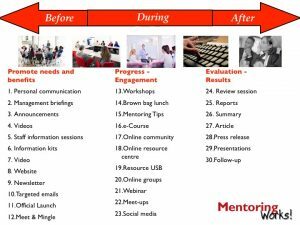 If you would like to access the recordings, my manual How to design and Run Your Own Mentoring Program and a bunch of ebooks, take a look at Fast Track Your Mentoring Program Planning a package of resources that has the lot.